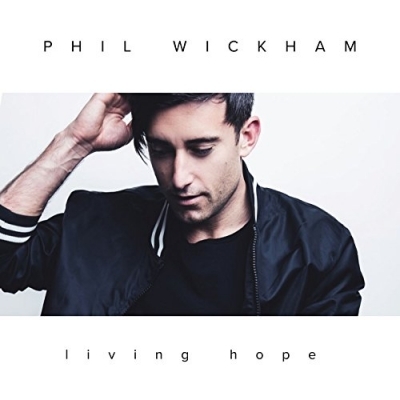 Living Hope, the latest album from worship leader Phil Wickham, is out now. The 13-track release includes Wickham's hit single and the album's title track. It might be too obvious for me to say, but I'm going to say it. This is Phil Wickham close to his best. This is Phil Wickham writing in the way we expect from Phil Wickham. This is what Phil Wickham does best. If you like what worship leaders like Phil, Tim Hughes and Matt Redman do then you will love this too. Read More Living Hope, the latest album from worship leader Phil Wickham, is out now. The 13-track release includes Wickham's hit single and the album's title track. For me, by far the standout track has to be 'Living Hope'. This is a wonderful song to use in your worship time. The song has a small hint of taking inspiration in the hymns, yet still has a very modern feel. 'Breathe Away' pushes Phil out of his creative musical box a little, which is great to see. But it’s the song 'Till I Find You' where we see Phil take a massive jump forward into the more modern pop world. Mr Wickham's vocals work so well on sounds and tracks like this. I honestly fell in love with the song 'Boundless', it's simple and breath-taking from start to finish. As the album continues, you see Phil Wickham creatively pushing out a bit more. This is still very much a Phil Wickham sounding album but you can see he isn’t scared to try a few new things. He tries to write songs that explore the characters of God in an interesting and creative way. This really is a solid and compact album.